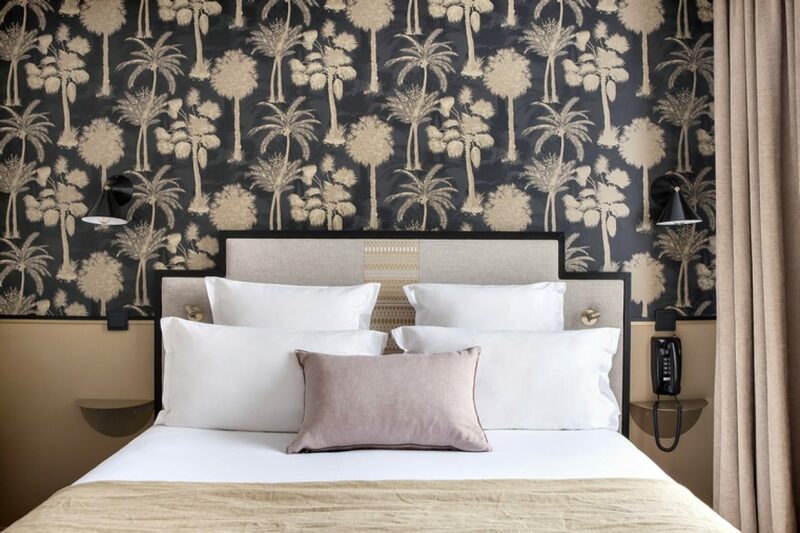 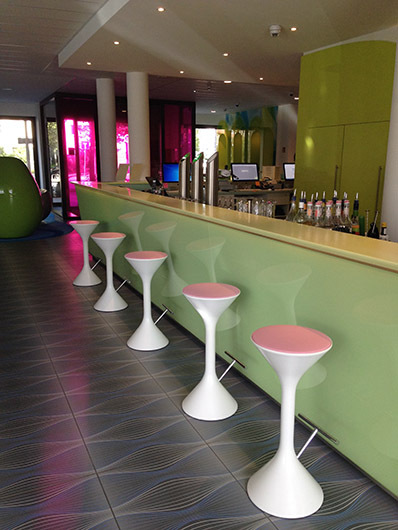 Five years after it opened in Bremen, another Prizeotel has been inaugurated in Hamburg. 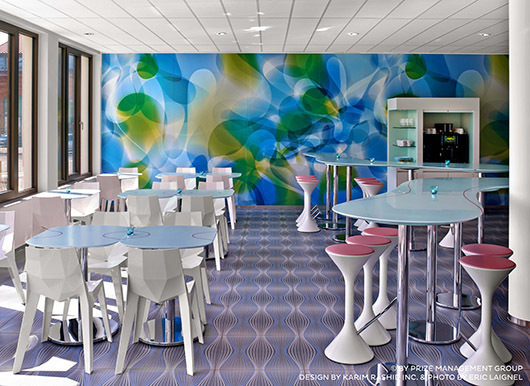 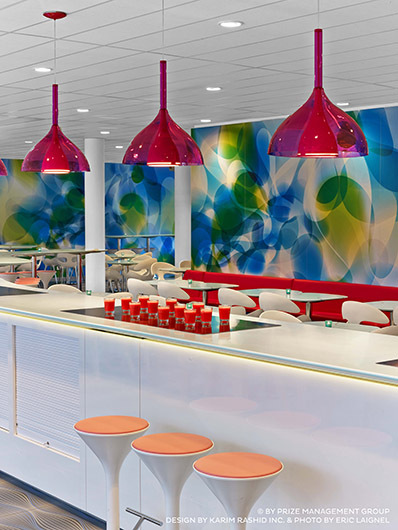 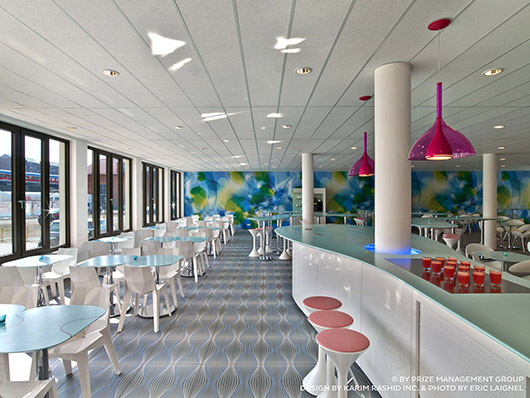 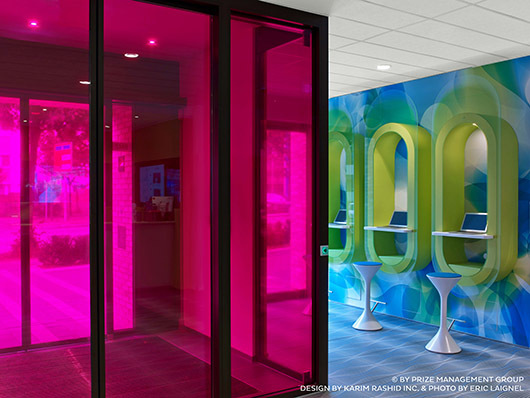 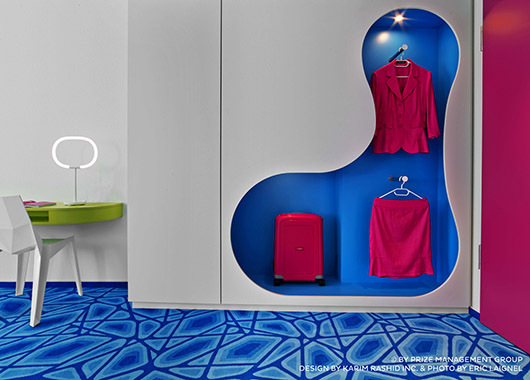 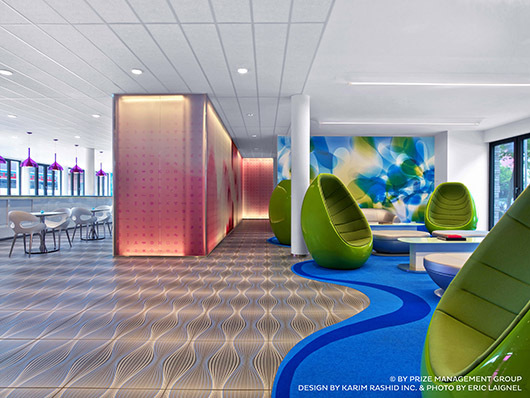 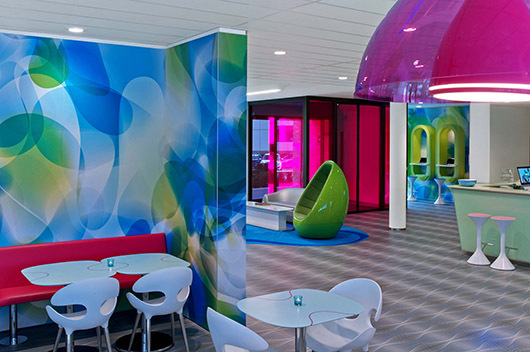 Again, designer Karim Rashid was in charge of the interior design of the new hotel, developing it with the same concept used in the Bremen Prizeotel and marking it with his unmistakable signature. 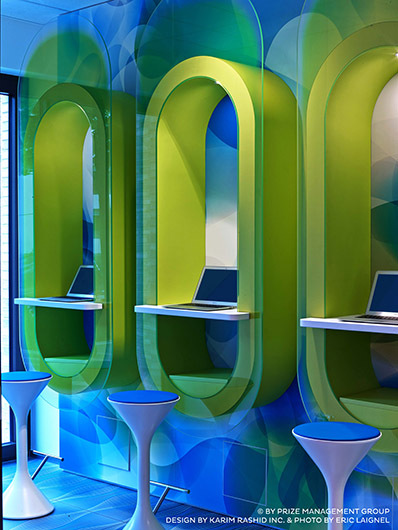 Over 7,500 m2 of colourful and attractive shapes distributed over seven storeys, 216 rooms, restaurant, lounge, buffet and business areas, where shapes and patterns are created in a game of blues, greens and silvers. 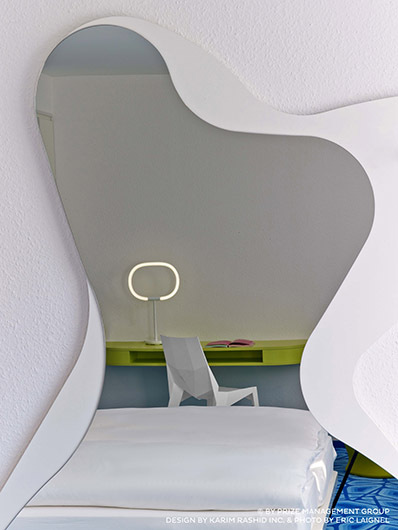 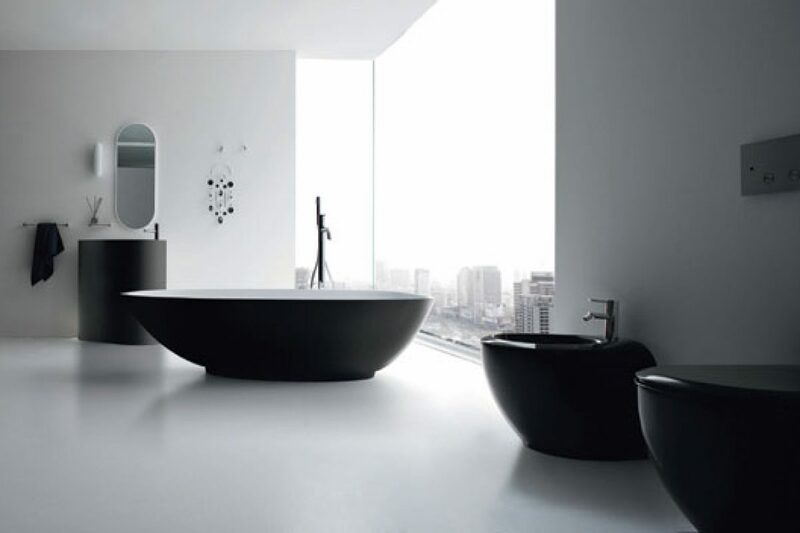 For the second Prizeotel too, Karim Rashid picked a selection of products which he designed for the Italian company Bonaldo: the multi award-winning Poly chair in the white version, which furnishes both the rooms and the restaurant, and the Sym pink and white stool used in the lobby and restaurant. 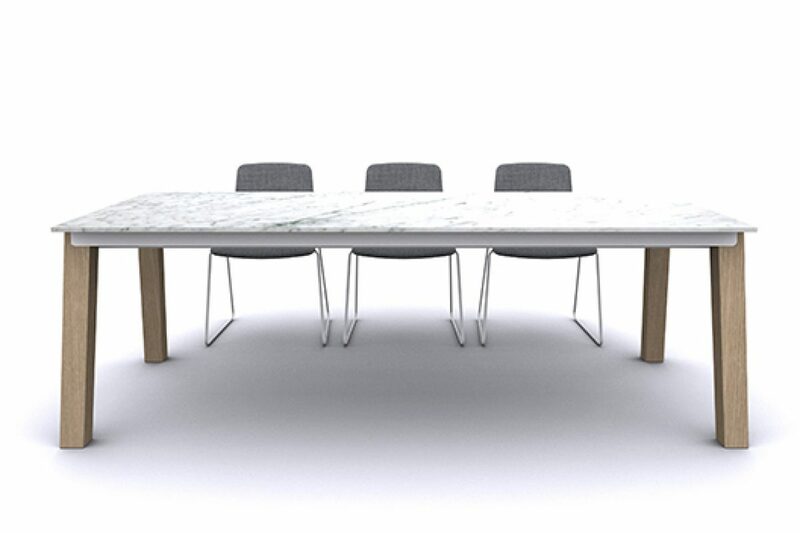 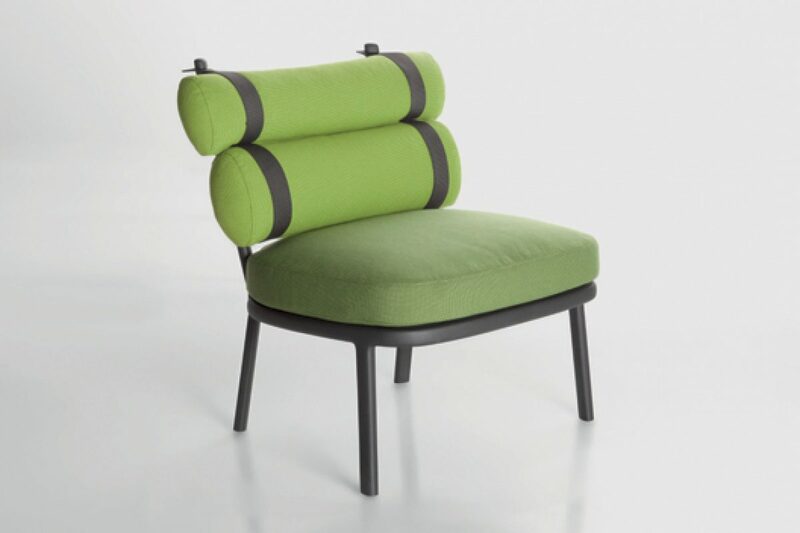 Poly is the winner of the Red Dot Design Award and is not merely a chair, but rather an object with a strong identity that can rouse the emotions tied to a passion for design. 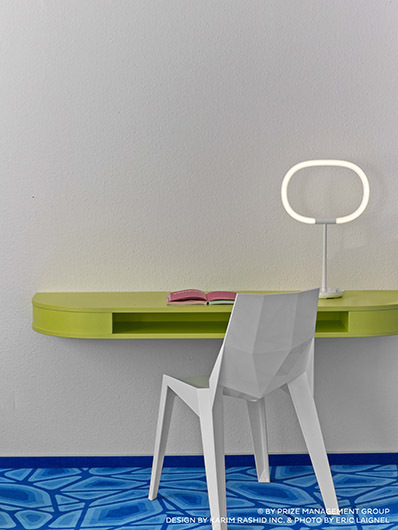 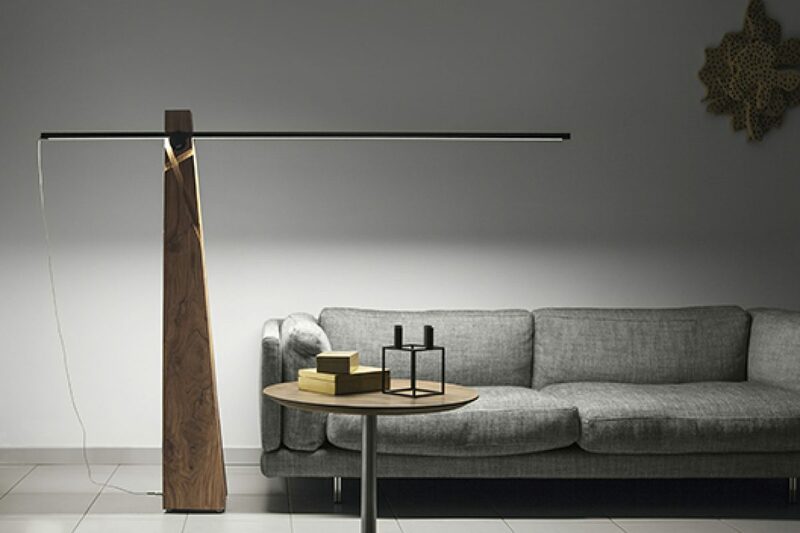 Sym is also distinguished by a simple yet at the same time unique shape, capable of playing the starring role in any setting. 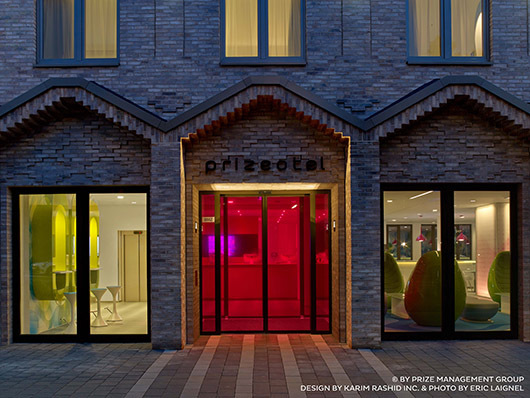 The Prizeotel brand was established in 2006 and its purpose is to become the most unconventional budget hotel chain in all the major German towns in the medium term. 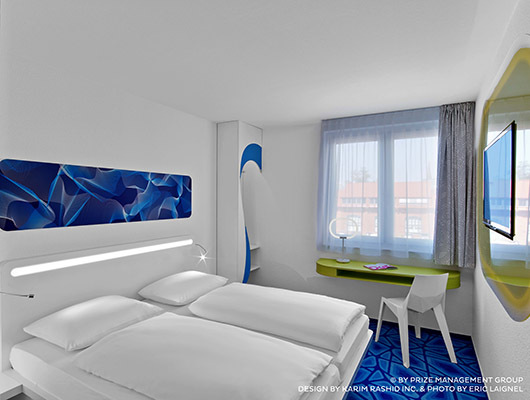 After Bremen and Hamburg, a third hotel will be inaugurated in Hanover in 2015.